Leonard Reedy was a landscape and figure painter, born in Chicago, Illinois, April 24, 1899. He studied at the Chicago Institute and Academy of Fine Arts as well as self-taught. 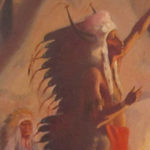 At the age of ten he demonstrated an unusual aptness and fondness for drawing and painting and chose to manifest this talent by illustrating the margins of his schoolbooks with his heroes of the west: Indians, cowpunchers, and bandits. 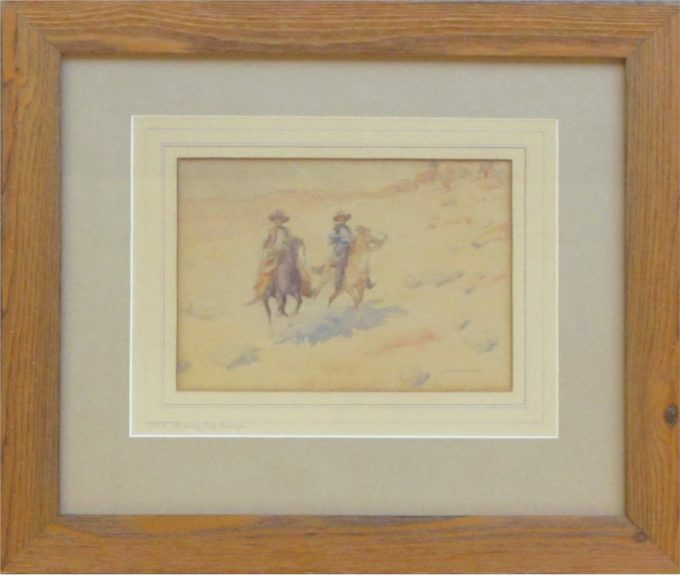 He was a great admirer of Frederick Remington whose portrayal of the West and Frontier Days will forever be appreciated and cherished as historically preserving the early pioneering, indomitable spirit and tradition of a great bygone era in American History. Like Remington, Reedy lived in the 'Great Open Spaces' and was at home on the Great Plains, the desert country, mountains, as well as mining and timber camps. He worked as a ranch hand. He roamed with the Indians. Over a period of many years, he gained a bountiful knowledge of western life and of the subjects he loved to portray. 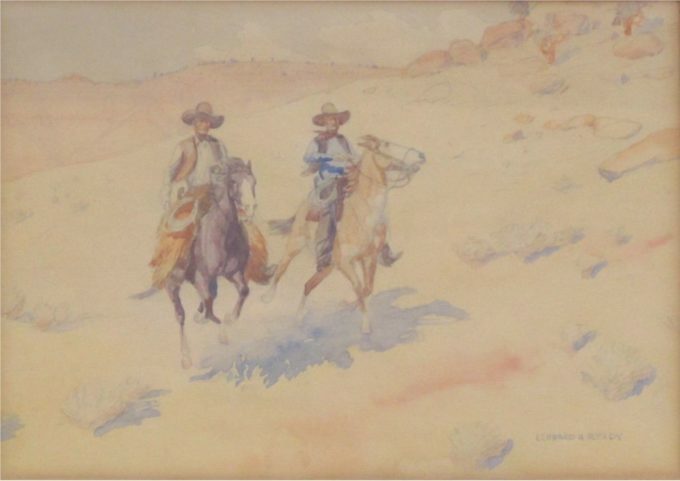 No doubt his great love and admiration for the early rough and rugged West of long ago decided for him what to paint. He preserved and described action which showed characters true to their habits and period; Frontier days of the plainsman; sagebrush; cactus and mesquite; The Gold rush; frontier towns; the stage coach; the hold up; the covered wagon; Buffalo Bill and the scouts; Soldiers and Indian warfare; the western trek of the home-seeker, fraught with constant danger; war-painted Indians on the warpath; the attack; bleached bones on the prairie; the tireless search for gold; all preserved the outstanding incidents of the pioneer days, the hardships and struggles during a most important epoch of our nation's history.